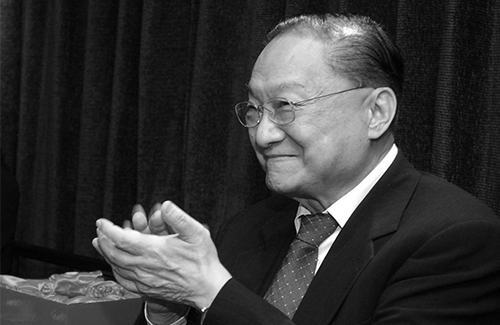 Legendary wuxia author Louis Cha (查良鏞), better known by his pen name Jin Yong (金庸), passed away surrounded by loved ones at the Hong Kong Sanatorium & Hospital on October 30, 2018. He was 94 years old. Born in Haining, Zhejiang in 1924, the well-loved and respected author was the younger cousin of poet Xu Zhimo (徐志摩). Mr. Cha moved to British Hong Kong in 1948, and soon after started penning the classic and epic wuxia novels that we all know and love today. Some of his most famous works include The Legend of the Condor Heroes <射鵰英雄傳>, The Return of the Condor Heroes <神鵰俠侶>, The Heaven Sword and Dragon Sabre <倚天屠龍記>, Demi-Gods and Semi-Devils <天龍八部>, The Smiling, Proud Wanderer <笑傲江湖>, and The Deer and the Cauldron <鹿鼎記>. After graduating from university in 1947, Mr. Cha started work for the Chinese newspaper Ta Kung Pao in Shanghai as its international news editor. Soon afterwards, he was transferred to Hong Kong to work as a translator for the paper’s Hong Kong edition. In 1952, he became the editor for the New Evening Post. In 1955, he published his first novel The Book and the Sword <書劍恩仇錄> on the August issue of the New Evening Post. In 1959, Mr. Cha co-founded the Hong Kong newspaper Ming Pao and served as its editor-in-chief. He debuted his first chapter of The Return of the Condor Heroes on the May issue of Ming Pao. Mr. Cha retired from his post in 1989, at 65 years old. Every single work written by Mr. Cha has been adapted to radio, television, and film. Amongst his most popular works was The Condor Heroes Trilogy which follows various wuxia heroes from the rise to the fall of the Mongolian Empire. New television adaptations based on the trilogy would occur about every ten years. This man is the reason why I loved TVB Wuxia dramas of the 80s and 90s. R.I.P. sir! This man deserves a statue erected (no pun intended). @anon Absolutely agree! As one of the most influential Chinese authors of our generation whose works are ubiquitous around the globe, not to mention the fact that he founded one of HK’s leading newspapers (Ming Pao), it’s unfathomable to me that there hasn’t already been some type of statue or museum or something of that sort for Mr. Cha in HK. I can understand why there wouldn’t be anything in Mainland China (since there was a long period of time when his novels were banned in China due to the political undertones with some of his works, plus some of the political battles he had with Beijing), but to have nothing of the sort in HK – shameful!!! HK government needs to step up and give this legend the recognition he deserves! It wouldn’t surprise me if the HK government is concerned that his recognition in HK may rub off the Central government in China the wrong way. Also, to clarify my earlier comment – found out that, apparently, Jin Yong does have a “museum” (kind of) in that there is an entire gallery at the HK Heritage Museum dedicated to him and his works, so that’s something at least (though like many of the exhibitions there, it’s likely only a temporary thing so who knows if it will still be there 20 years down the road)…but given his status and influence, there should be way more than that….maybe give him a full-fledged museum or build a mausoleum for him or something. But then again, based on HK’s track record, I kind of doubt that will happen – I mean, look at how much struggle there was when fans tried to get a museum built for another HK legendary figure Bruce Lee…sure, he got a statue on the Avenue of Stars, but that was after much “begging” from his fans (who raised money to pay for that statue themselves). Looks like the only way for any deceased icon to get any type of large scale honorary tribute done in their honor in HK is to hope that their fans are dedicated enough to pursue it…. @llwy12 In Zhejiang Haining there is a Jin Yong museum founded on the ground of Mr Cha forner house. Also a small island in Zhejiang i named Peach Blossom Island. I am really sadden by it. He is such a Chinese treasure. I am glad he moved to HK instead of staying in China. His dad was executed for being wrongly accused by communist government. Even he got into trouble at his school day. If he did not escape to HK, we would not have the chance to read his novels. As he would not be able to write them. He will like be sent to be re-educated by communist government. Each of us have our own path and fate in life…. RIP. Truly a legend in wuxia land. I hope ppl will respect his works going forward. I agree and hope they do not take advantage of the fact that he has passed to butcher his novels just like what they did to Gu Long. I was in shock that JY passed. I thought he may have made it to 100 but 94 is already an accomplishment. He is truly special and his stories gave me and my family so much joy and happiness. He is physically gone but is always alive spiritually and has left behind a legacy. He will live in everyone’s hearts and memories forever. By the way, I am disappointed that Felix did not mention that he also plated Yuan Cheng Zhi in The Sword with Royal Blood. I guess it was because that novel was not popular. I just rewatched Return of the Condor Heroes 83 with my little brother. JY is truly a master novelist. Hope he rests in peace knowing he bought so much joy and happiness to everyone all over the world. He also played Hu Yi Dao in ‘The Flying Fox of the Snowy Mountain 1999’ and Xu Zhu in ‘Demi-Gods and Semi-Devils 1982’. He didn’t mention those either. Sadly that seems to be the case or he just thought they are not as worth mentioning. Oh yes, he also played Xu Zhu and Hu Yi Dao. I am even more shocked that he did not mention Xu Zhu as that should be popular and is one of his most memorable roles. Hu Yi Dao was a small role so I can understand why he did not mention it. But it is great that at least we remember! By the way, meant The Sword Stained with Royal Blood. Xu Zhu might be one of the 3 main characters in ‘Demi-Gods and Semi-Devils’, but, I always got the impression that he’s the least popular of the 3. Badass Qiao Feng is the one almost everyone like. 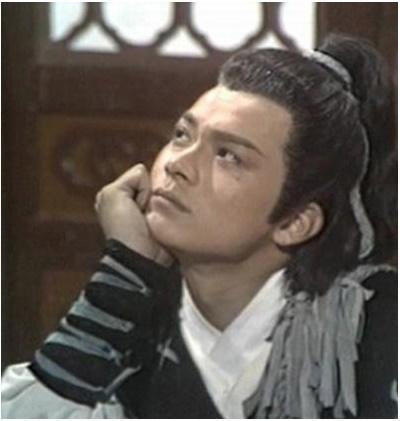 Duan Yu, however lame some people think he is, they still talk about him. But, there’s not much mention of Xu Zhu in forums. At least, not in the english wuxia fans forums I frequented. I think you are right but I like Xu Zhu and my late mom loved Felix in that role, so what a disappointment that he did not mention it. But I am happy that we remember. @hetieshou Some other people near death experiences. @hetieshou Michael Miu too…he played Xia Xueyi (aka Golden Serpent Gentleman) in the same series (Sword Stained with Royal Blood)…but maybe because his role was only a guest star technically, he didn’t remember, lol. Oh yes, how can anyone forget Xia Xue Yi aka Jin She Lang Jun? Don’t you notice that that role always had great actors playing it like Miu, Vincent Jiao, Kong Wah,etc…? It may be like a guest star role but is a memorable and important one. That character is the spirit and soul of The Sword Stained with Royal Blood. However, I am glad that at least we remember. I do not think that is true at all. I think it was not mentioned because none of the actors from that series adaption commented. I like Zhang Wu Ji’s character and the story and it is one of JY’s most popular stories for a reason. Of the 3 Condor Trilogy leads, I like Zhang Wu Ji the most because he’s very kind and forgiving. He can give up pursuing revenge for the greater good of the people. I like ZWJ the most too. He is very kind and forgiving and is not as stubborn as YG is for example. But I think most just do not like how he is wishy washy in love. None of the characters are perfect so you should not hold Zhang Wu Ji’s flaws against him. He was wishy washy in love but he did choose in the end. I actually like him the most as he is the most kind hearted one out of most of those characters. He forgave the ones that indirectly killed his parents and even saved them. Guo Jing wanted revenge no matter what. Yang Guo is stubborn and hurt others around him too. You should read the novels as there are fan translations and official translations if you cannot read Chinese.